The company quickly returned to handwriting tickets. However, Ms. Archer knew that approach wasn’t a longterm fix. 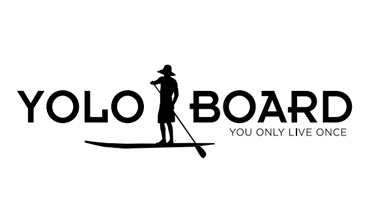 YOLO (“You Only Live Once”) Board had a big vision: With annual sales growing 40 to 100 percent, the management team knew they had the chance to build a national cross-platform brand. With a retail location and warehouse in Miramar Beach, Florida, and a second store in San Diego, California, the time was right for YOLO Board to solve its POS ills. The company went live with its NCR Counterpoint POS system on Black Friday 2012, one of the year’s biggest sales days. The solution performed flawlessly, giving managers and staff the confidence that they had made the right decision and implemented a technology platform that would grow with their business. NCR helps YOLO Board optimize service to both its wholesale and retail customer base. The YOLO Board team uses the NCR Counterpoint POS system to obtain real-time information on existing inventory at all of its locations. “We know how many boards we have and everything about them, including their category, account code, style, size and whether they are wholesale or recreational,” says Ms. Archer. That enables staff to maximize each day’s sales and keep its commitments. Previously, employees would sell merchandise on the floor that had been promised to a customer, leaving them in the difficult position of trying to talk the client into another item. Even more importantly, the NCR Counterpoint POS system has brought a new level of integrity to the company’s operational processes. YOLO Board’s warehouse manager has configured her terminal to match her unique needs. Managers can now review sales using criteria they choose, enabling them to make sound purchasing and stocking decisions. And the system’s centralized control and user security settings reduce the possibility of fraud. “I don’t have to worry about a 19-year-old sales clerk going into the POS system and changing prices for his or her friends,” says Ms. Archer.